Notice that the speed for the 2 trips have equal weight in the calculation of the harmonic mean – this is valid because of the equal distance travelled at the 2 speeds. If the distances were not equal, then use a weighted harmonic mean instead – I will cover this in a later lesson. We already have the elapsed distance – it’s 240 km. Let’s find the time elapsed for this trip. Notice that this explicit calculation of the average speed by the definition from kinematics is the same as the average speed that we calculated from the harmonic mean! In my new video, I derive 6 useful mathematical relationships that exist between any 2 of the 3 quantities in the above equation. Each relationship allows one quantity to be written as a function of the other. I am excited to continue adding to my Youtube channel‘s collection of video tutorials. Please stay tuned for more! 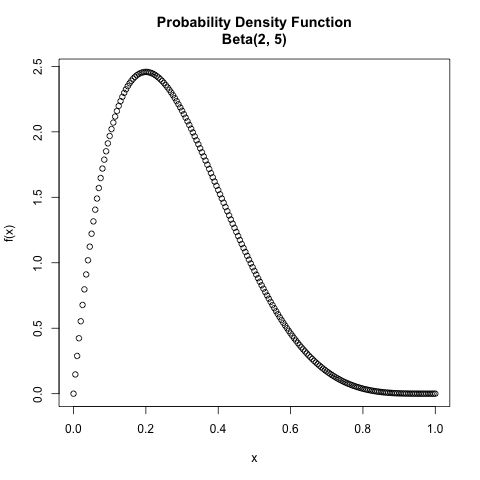 Did you know that the hazard function can be expressed as the probability density function (PDF) divided by the survival function? In my new Youtube video, I prove how this relationship can be obtained from the definition of the hazard function! I am very excited to post this second video in my new Youtube channel. is the time of the occurrence of the event. However, what does this actually mean? In this Youtube video, I break down the mathematics of this definition into its individual components and explain the intuition behind each component. I am very excited about the release of this first video in my new Youtube channel! This is yet another mode of expansion of The Chemical Statistician since the beginning of 2014. As always, your comments are most appreciated!